I’ve used Stornext on several storage projects when I worked for Chyron. My customers were Turner Studios, HSN and NBC Olympics. This was a number of years ago using Stornext 4. Stornext is what is known as a “clustering file system”. The storage is usually connected through a SAN and looks like block addressable storage. Each node has a common file system (stornext) but the nodes themselves can be heterogeneous E.G. Mac, PC, Linux, Solaris , etc others. Accessing these files is very fast which is their claim to fame. To prevent each node from stepping on the others there is a metadata controller which acts like a traffic cop. From what I remember Quantum can now sell vertical solutions that include storage and the metadata controller, as well as piecemeal solutions. Isilon – Now owned by EMC, these systems are known as scale-out NAS. NAS is known as Network attached Storage, a fancy term for file servers. File servers can be a bottleneck because a single the File server must serve out each file to all its clients. If you add enough clients File Servers can slow down. Isilon gets around this limitation utilizing multiple File Servers serving the same content. HyperFS– Sold by ScaleLogic. ScaleLogic is run by a bunch of colleagues/Friends of mine. HyperFS is a work-alike of Stornext developed in China. Reputed to be cheaper and perhaps faster. GlusterFS– If all you are concerned is Linux devices there is a free alternative called GlusterFS. Quantum itself– They started out making Hard disk drives, then acquired various tape drive companies. IMHO tape drives are still a valid backup medium. Looking at their website , is completely oriented around storage. Broadcast and related is one of their big markets. I would investigate on how they are doing vs. Isilon/EMC. Even though I currently work with Unix/Linux I use MS Office for my daily tasks. You would think that I would use some variant of OpenOffice since this is available on the Linux workstations that I normally use. My major complaint with Open/Libre office is they don’t support engineering notation. That has been an issue for at least ten years and I just gave up waiting for it. My other issue with the free office suites is lack of instant search which exists on MS Word 2010 and later. The second part of the problem is that word 2010 kept crashing and corrupted some original .doc files. Luckily I had backups and were able to restore them. Until I restored these files Word 2010 kept crashing. I was thinking about how much we gave up as users by going to MS Word. I remember the old DOS and cp/m days when I used Wordstar , WordPerfect and its ilk. I just don’t remember this amount of crashes and this amount of work trying to fix it. 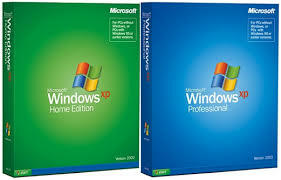 Is it really worth it that we sold out to MS Office and its clones? The funny thing is that there is now “Write Mode” in some versions of word, which is pretty much what you had with wordperfect, wordstar etc. I probably won’t switch to LibreOffice on my pc, which is what I use when Word 2010 crashes UNLESS these problems continue to plague me. I wanted to edit a video I found on youtube. Since I have a Macbook Pro with iMovie Editing software I decided to start there. Naturally when I don’t know something I Google for the answers. There were a couple of posts that lead me to some tutorials on youtube. Approach #1 is to download RealPlayer SP with RealPlayer Downloader and RealPlayer Converter. Which I did, installed all this stuff on my MacBook and downloaded the Movie clip. Result: the downloaded clip just played black. (No this isn’t a typo. The resultant video was BLACK for the entire clip) I installed a newer version of Flash player which did not help. Finally I uninstalled all the realvideo stuff. Approach #2 Was to d/l another program called mytube widget. I took at look at the downloaded files and asked myself if I wanted to install all this “junk” on my Mac. I thought there has to be another way. This apparently will work in Windows also but you need to download a Python interpreter. This comes with OSX and Linuxes. a) Get the youtube URL that you want. The easiest way is to startup a browser and copy the youtube URL. Now just pick the format you want and download the video, E.G. Now you get your video in the format you want you can just redisplay it or edit it. I suppose that Mac (and Windows) people are just afraid of the command line. I believe it far easier to run a simple script in a terminal than to have several megabyte downloads and converters that don’t even work in a GUI. But of course YMMV. For those of you who don’t know above is a bunch of DVI connectors. The DVI-D are digital only. Single link is only good to 1920×1200 60hz. So if you have a higher resolution monitor or want to go faster than 60HZ (unlikely) you would need dual link. For my purposes the single link is fine. 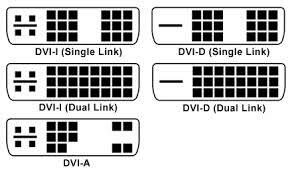 DVI-I means that it can either be Digital or Analogue with a suitable converter. You need a handy-dandy little converter like you see above to connect to a VGA monitor. BTW: DVI-A stands for DVI analogue , beats me why anyone would use this , must have been a slow day at the VESA spec writing department when they came up with that. 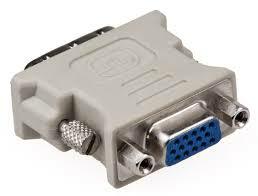 Also the DVI interface is considered old school. Many graphics cards are using a variant of display port. Apples are in the forefront of this. However, you can get Display Port <-> DVI or Display Port <-> VGA adaptors for not too much money so most bases are covered. Anyway back to my saga. It turns out that many cheap Graphics cards use a combination of DVI, VGA and HDMI connectors on board. That way the manufacturers can save a few $$ on converters. However ,they are not good for my purposes as I want the rear connectors to be interchangeable. And yes I know that there is the nouveau driver out there but I actually enjoy installing the Nvidia proprietary driver. The fact that I can’t control the is my only (major) issue with the Nvidia drivers and card setup . So I settled on a GT-640 card from Best Buy. It was in stock about 20 miles from my home so I went there and noticed that the image on their website did not match what they had . I.E. they had a VGA on one port and a DVI-I connector on port 2. Well that wouldn’t work as you can’t reverse them. So I had to go to Microcenter and they had a GT-610 card with DUAL DVI-I connectors. The only thing is that I had to pay LESS. (Woo hoo). There is a lot to be said for looking at the package in your hand rather than at a website. I doubt that this matters much in a Windows box but in this case Linux is more particular. The only thing that put me off was that this GT-610 had zero converters, so if you were connecting a VGA monitor you were SOL. Fortunately for me I have a ton of those converters but it does underscore how little margin there is with these devices. So after I installed this card, I d/l and installed the latest Nvidia driver 334.16. Then I found out that Nvidia gave me an “Easter Egg”. It turns out that if you turn off one of your monitors the system will dynamically reconfigure itself as a 1 monitor system. Right now this only works when I disconnect my secondary monitor. I do this as I usually have more than 1 computer connected to my monitors. One is through a KVM and the digital display I disconnect/reconnect manually. Just thought that was pretty cool. Recently we moved a shared hosting site from Verio to Bluehost. I don’t recommend shared hosting if you are having security issues. Please refer to my earlier posts on DDOS attacks. Verio, at least for some of their customers, use FreeBSD and Bluehost uses Linux, most specifically a version of Ubuntu. It looks like 10.04.4 LTS Lucid.This wasn’t a particularly hard migration just a couple of different ways that a Linux site treats shared hosting relative to FreeBSD. a) When Apache spawns a process I (or my FreeBSD login user) own this process. b) On a FreeBSD system when I do an ifconfig -a , I only see my own ip address. Not all the other ip addresses that are bound to the NICs. When logging into a Linux shared hosting site, a pseudo-user , presumably apache owns all the httpd processes. I had to fix permissions on all the website files so that “other” can read all files and read and execute all directories. (Thank Goodness for the “find” command.) The other peculiarity is that you had use a web interface to create new mysql databases and database users. A web interface , Really on a Linux system? I suspect that this is a limitation of non-chrooted shared hosting systems. It is annoying nonetheless. None of these are show stoppers. Just something to be aware of.